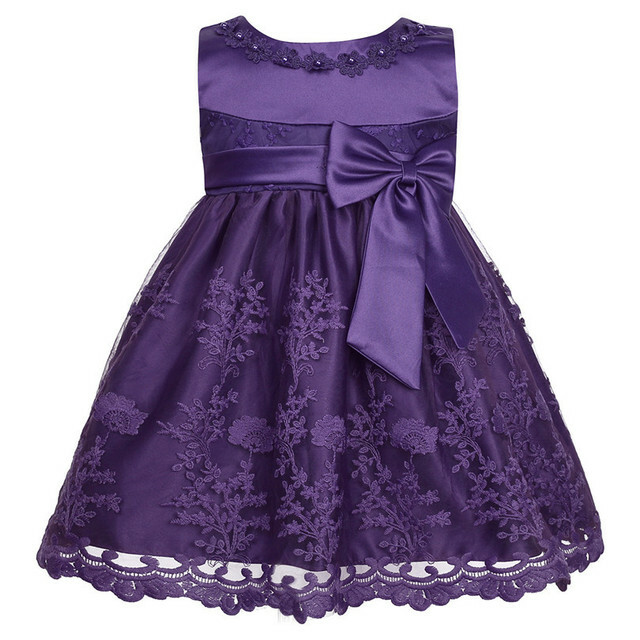 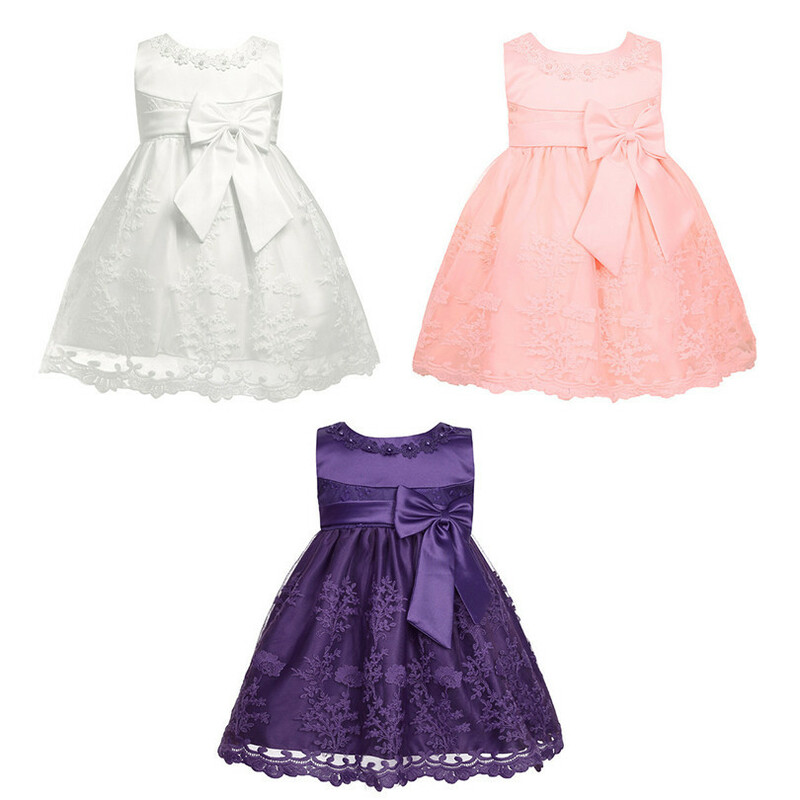 Baby girls sleeveless princess dress with round neckline with 3D florals and beads for decoration. 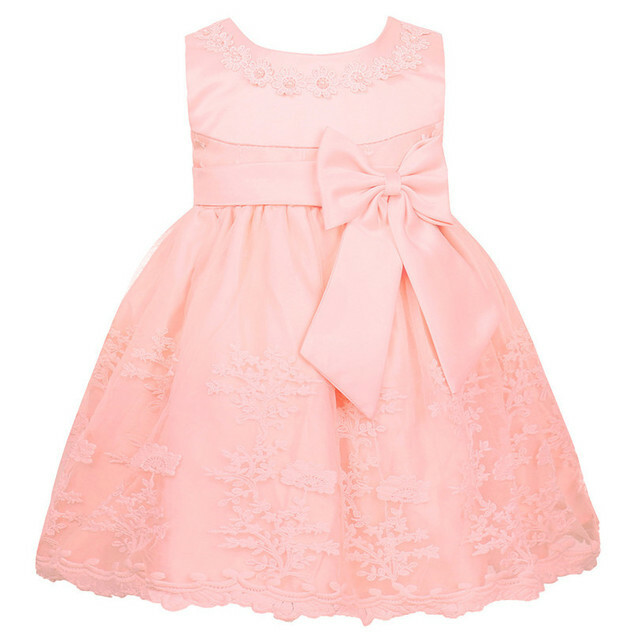 Floral embroidered on top layer, and a big removable cute bow on the front. 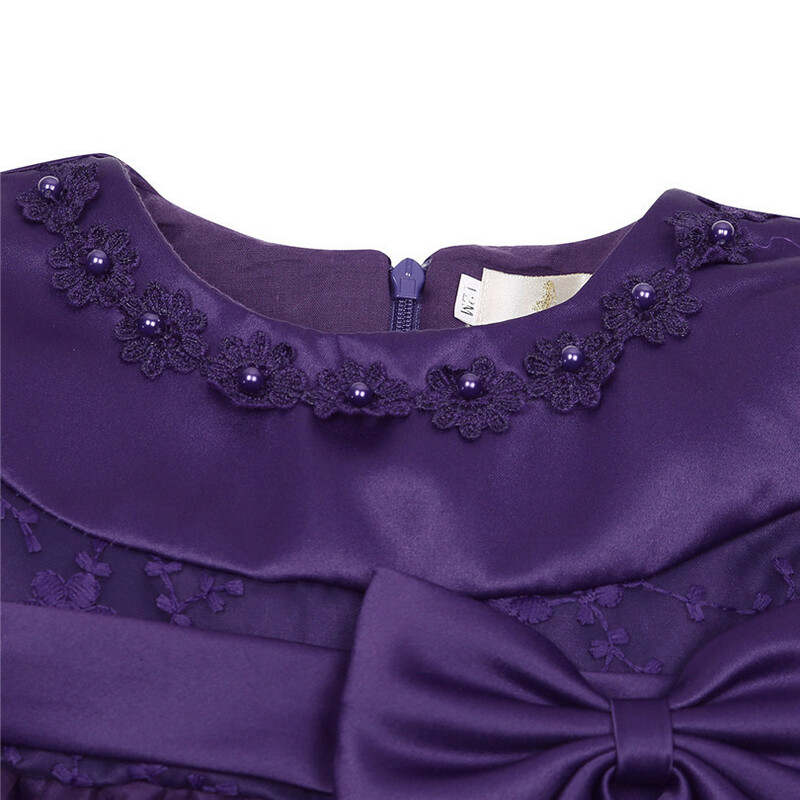 Fully lined, sash tie back and hidden back zipper closure. 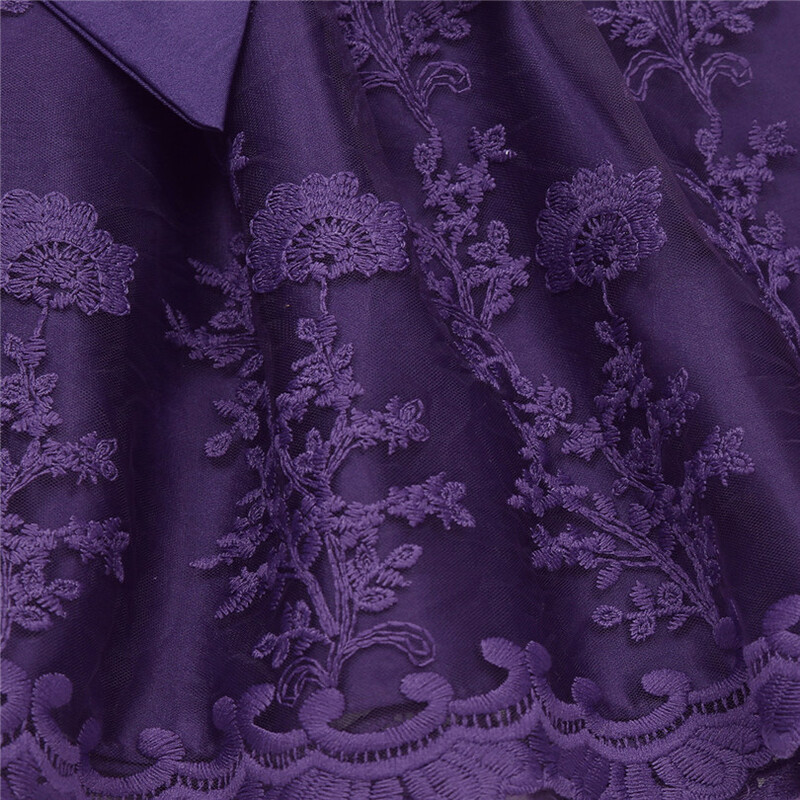 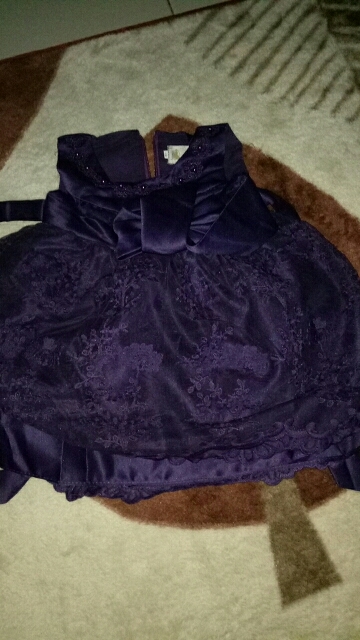 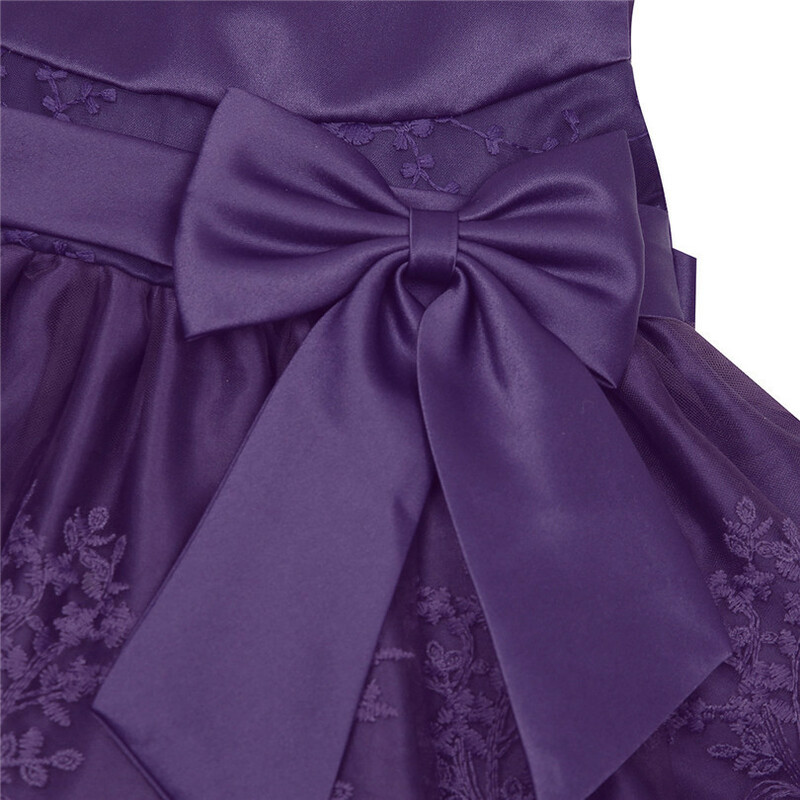 The dress has a 3 layer skirt including 1 mesh layer, 1 layer satin and 1 layer lining with netting for additional fullness. 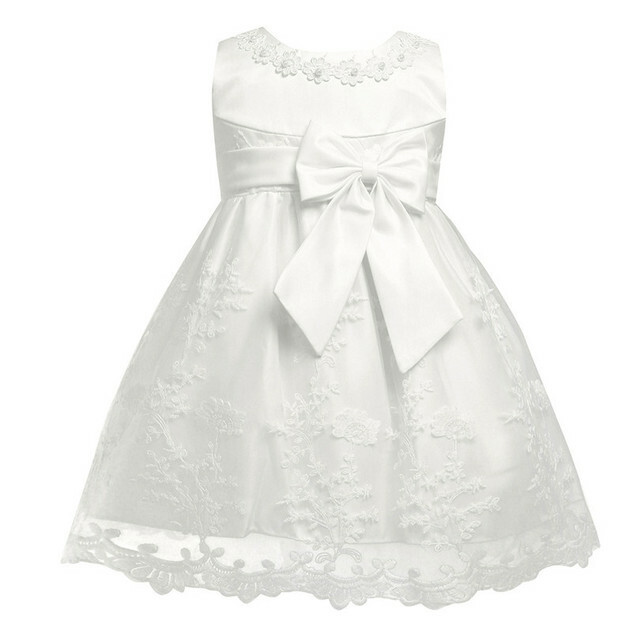 Perfect for baptism, party, wedding, birthday and other special occasions.